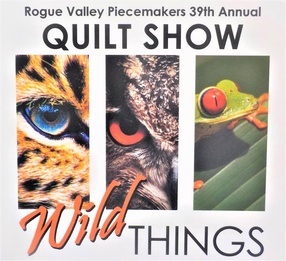 The Rogue Valley Piecemakers 39th Annual “Wild Things” Quilt Show features over 200 quilts. It also features special exhibits, demonstrations, door prizes, opportunity quilt (benefits the Women’s Crisis Center and Joe’s Place), vendors, boutique raffle baskets, and a silent auction. 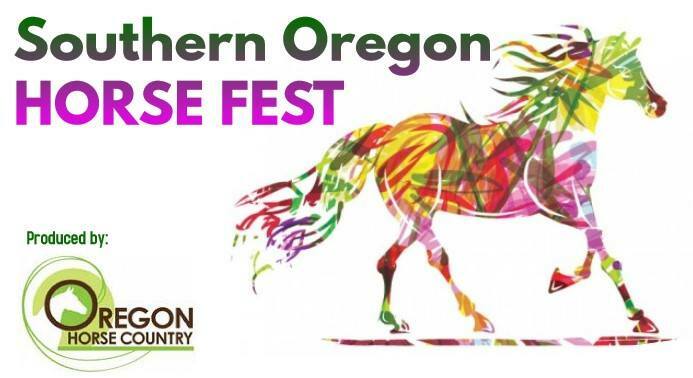 The 2nd Annual Southern Oregon Horse Fest is Friday & Saturday, May 10-11, 2019 at the Josephine County Fairgrounds. 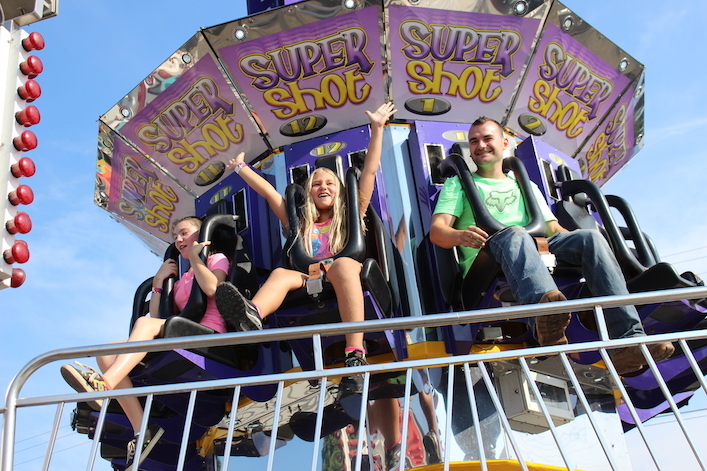 There will be an enlarged trade show (over 50 vendors) and the addition of clinics and demos. More information on Facebook event page. 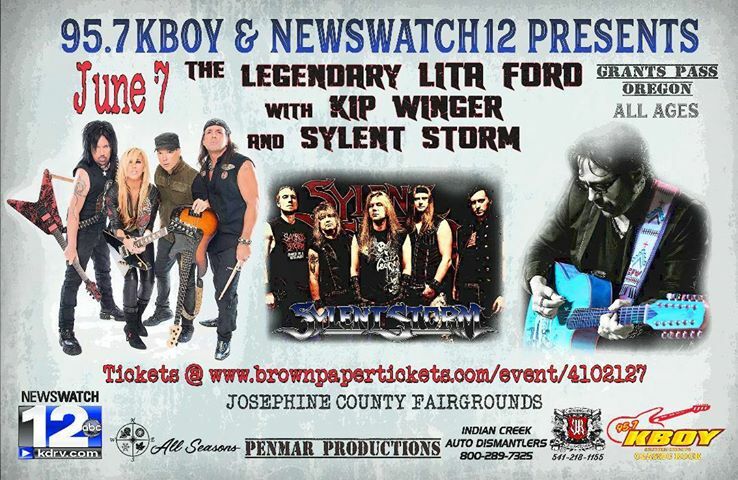 957 KBOY presents The Legendary Lita Ford in concert with special guest Kip Winger and local favorites Sylent Storm June 7th in Grants Pass at The Josephine County Fairgrounds. children under 3 are free. Sponsored by – Crichardsonart and All Seasons Heating and Air. 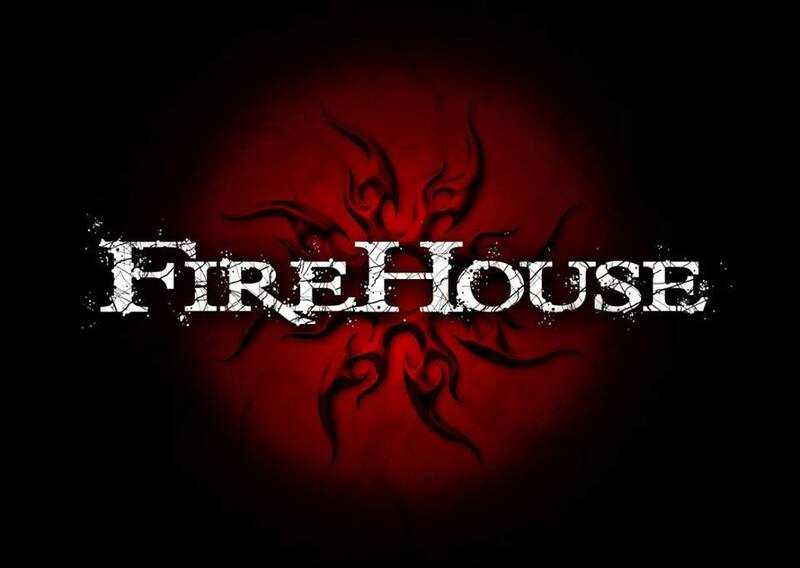 1990’s Rock legends FireHouse with regional country band Fogline and local rockers, Ghost Kings. All Ages event. Children under 3 free. Sponsored by Crichardsonart, All Seasons Heating and Air, and Indian Creek Auto Dismantlers. 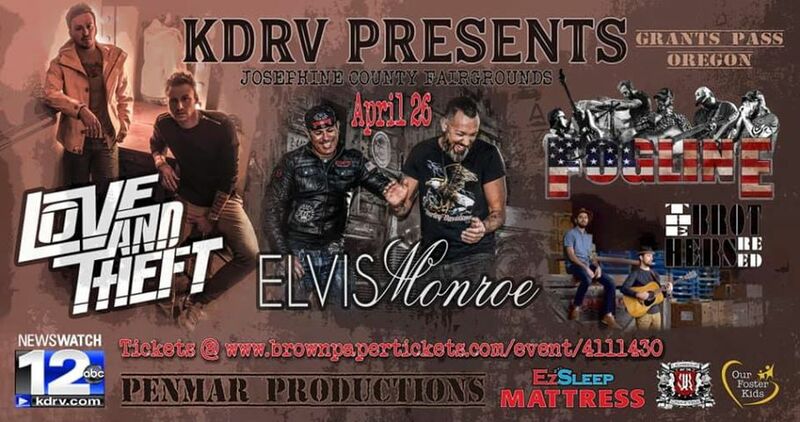 For one night only KDRV NewsWatch 12 presents Joe Nichols with Elvis Monroe and Fogline! All ages welcome. Children under 3 are FREE. Veteran discounted tickets. Food and Beverage vendors. 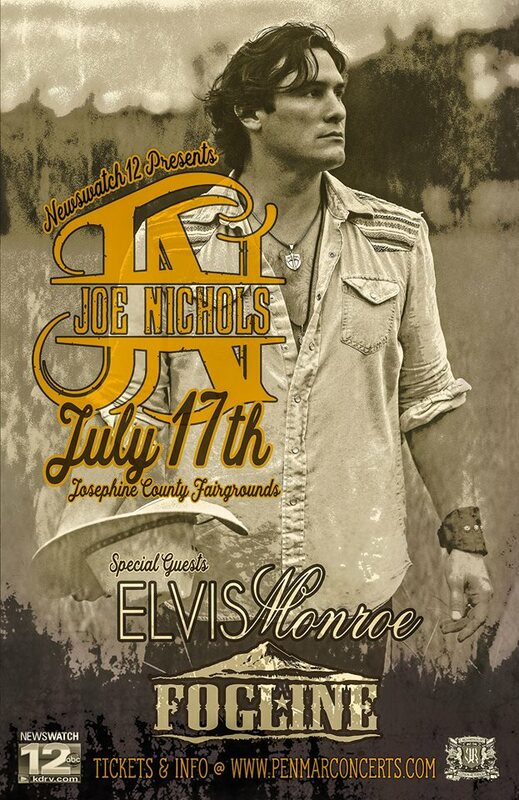 For one night only KDRV NewsWatch 12 presents Joe Nichols with Elvis Monroe and Fogline! All ages welcome. Children under 3 are FREE. Veteran discounted tickets. Food and Beverage vendors. A percentage of the proceeds go to Our Foster Kids, Inc. Seating is first come, first serve. Chairs in the VIP front of stage section. Gates open at 6PM. Show starts at 7PM.